Hello! My name is Katie and I’m from Los Angeles, California and currently living in Mexico. I have been working as a health coach for roughly 9 years and I started working remotely about 4 years ago. For the past several years, I have been traveling steadily and I hope to continue to do so with the flexibility of my work. What brought you to Costa Rica? Did you travel solo or with others? What regions did you visit? My friend and I decided to go to Costa Rica because we are huge animal lovers. 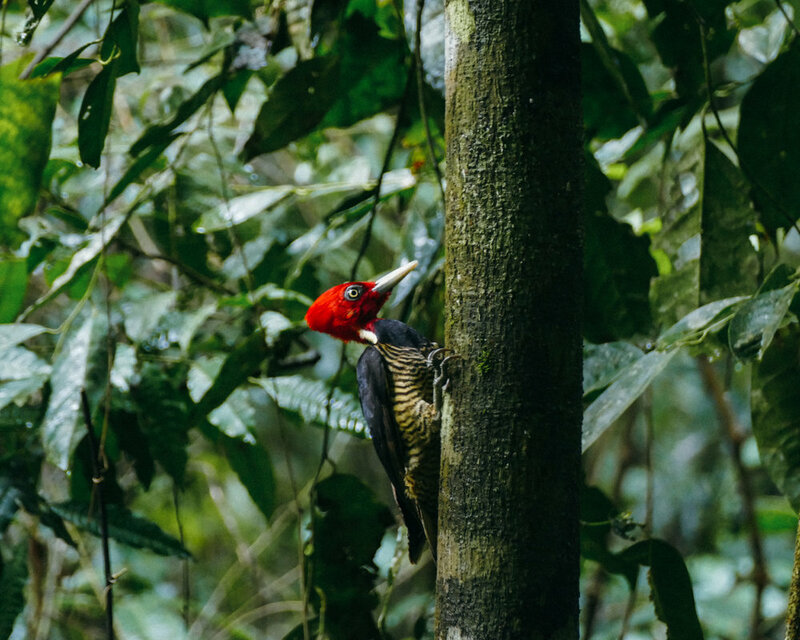 We heard about Corcovado National Park being one of the best places to see wildlife as it is one of the most biodiverse places on this planet (!!!). We were able to visit the Osa Peninsula, Dominical, Quepos and flew in and out of San Jose. Please share the story behind your favorite image that you have contributed from this trip. That’s a tough one! I am a bit of a bird nerd so the photo of the toucan is one of my favorites—more because it was my favorite bird to see in the wild. This particular toucan flew right above us and landed on a branch, hopped around a bit, and let out his very loud cackle of a call. I also really like the photo of the fisherman in yellow because it was such a quiet, peaceful moment in Drake’s Bay. What are your must-see spots in Costa Rica (things to do, places to eat etc.)? If at all possible, I’d highly recommend visiting Corcovado National Park because it is literally like stepping into Animal Planet. We also really enjoyed our time in Drake’s Bay which is super laid back and Dominical to swim in all the beautiful waterfalls. What advice do you have for people interested in doing a similar kind of trip? 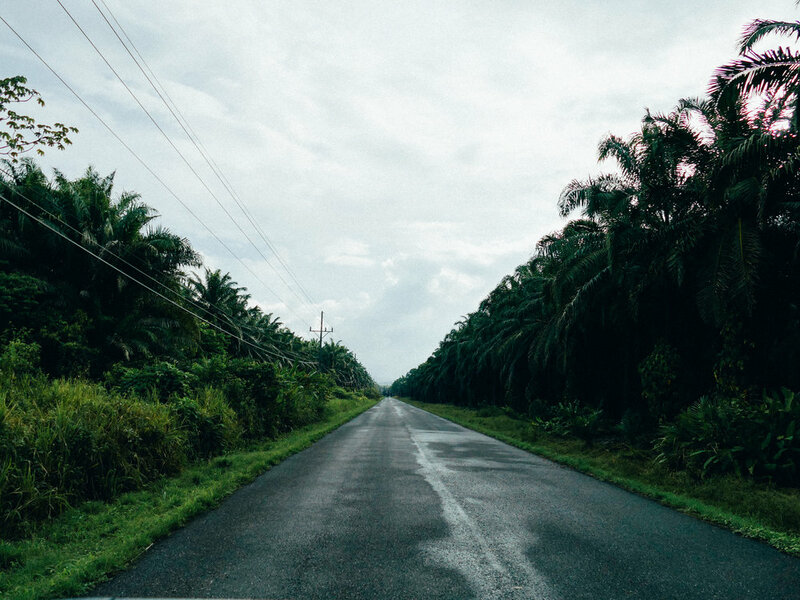 Planning in advance is a must so you don’t end up going during the wet season. If you want to go to Corcovado, it is necessary to hire guides to enter the park, so take your time to find a guide you like and that shares similar interests to you. 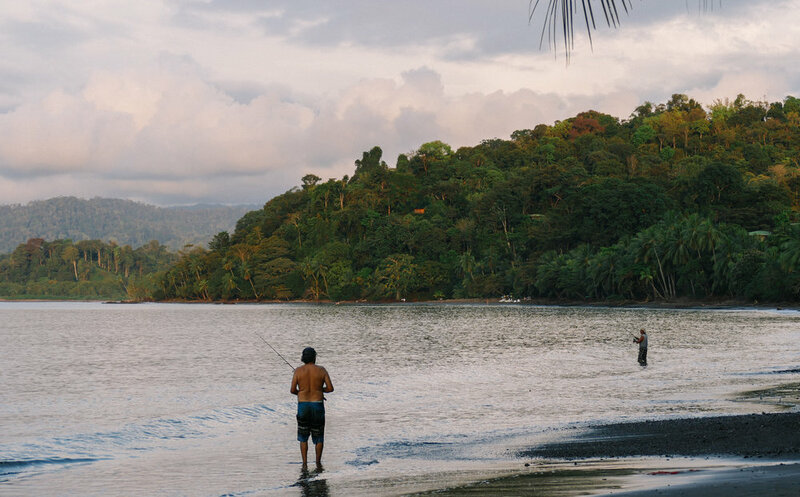 Also, there are so many places to visit in Costa Rica that aren’t touristy (gasp!). If you do your research and talk to locals, you can easily find yourself to be on a lonesome beach or trail without another soul around. What sparked your interest in photography, and how does it influence the way you travel? I have always loved photography and even when growing up I always had a disposable or film camera around to play with. When I started traveling more, I found that I was more inspired to take photos of all the incredible places I had the opportunity to see. Taking photos is a great way to explore a new place and can provide you with a great activity during your travels. 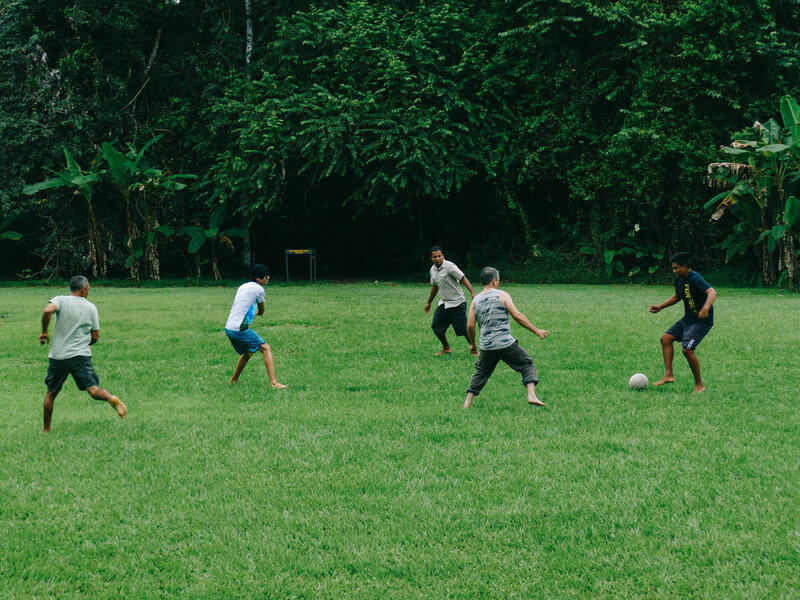 What was the most rewarding aspect of your experience in Costa Rica? Simply seeing such a huge variety of animals all living in one place restored my hope and truly was an incredible experience. What is life like in Costa Rica, and what is something that might surprise people about the country? Not so surprising— but everyone we met was incredibly kind and generous. To paint a better picture, while waiting for our host to pick us up at the bus stop he called to ask if we could walk over to his car instead, just a couple minutes away. Turns out there was a sloth on the road and he stopped in the middle of the street to help it back into a nearby tree, getting it out of danger. Though traveling can look glamorous, we all know that is often not the case. What were some challenges you faced on this trip and how did you overcome them? Remember how I mentioned it’s good to plan in advance? Well, though we did our best, we could only take off time to travel during the transition from rainy season to the dry season. While we were there—the national park to be more specific—we were pretty much drenched every day in rain and mud, and our socks started to feel like they were second skin. Yum! Right now I am enjoying all that is to be explored in Mexico and I am hoping to travel to more Spanish speaking countries to practice my (very juvenile) Spanish. Also, big shout out to miss Lee of SP because I’m trying to figure out a way to travel to Africa in the near future after all her inspiration!